At Handy Flowers we truly understand that a corporate event is the visual signature of a company and its brand. Based on our experience with decorating all kinds of corporate events, we know that attention to details is the key to providing the most impressive décor to catch the attention of your guests. Any corporate event is a reflection of the company’s ideals, standards and mission thus when organizing such an event, it is essential to organize any aspect perfectly. From thoughtful guests’ seating to choosing the best floral decoration, everything needs to be carefully considered. Fresh flowers are always a preferred décor accent to add extra vibrancy and glamour to any corporate event. Take a look at our top 5 ideas to incorporate gorgeous blooms into the décor of your event and provoke a true interest among colleagues, clients, partners and journalists. Placing fresh flowers along the entrance of the hall will send a welcoming visual message to the attendees. You can create a breathtaking floral display related to the theme of the event. For example, if the company is presenting a product’s spring collection, then go for a tastefully arranged spring blooms as anemones, calla lilies, tulips, camellias, freesia, irises, orchids or peonies. Wow your guests by adding a nature-inspired feel to the table décor. Placing a floral centerpiece on the dining table is sure to set the mood for some lovely conversations. Position small vases with flowers in the middle of the table, or place cascading floral arrangements on one of the edges. Make sure the centerpieces are not in the way of attendees so they can see each other. From our experience, people enjoy more sophisticated floral centerpieces including roses, lilies, calla lilies and orchids. The back of the chairs would also look fantastic when decorated with an elegant ribbon, wrapped around a fresh bunch of flowers. Cascading flowers are very suitable to be used as a decoration ornament around all the columns in the room. They will add a touch of romantic feel in the space. Wrapping garlands around the columns will create a captivating focal point that will provoke lots of positive comments for sure. Add strings of lights to make the columns truly glow. Catwalks and stages allow using your creative imagination when it comes to decorating. Flowers are undoubtedly one of the best ways to add an extra special feel to the event. Lavish and elegant arrangements will attract the attendees’ attention and make them focus on the speech of the host of the show. 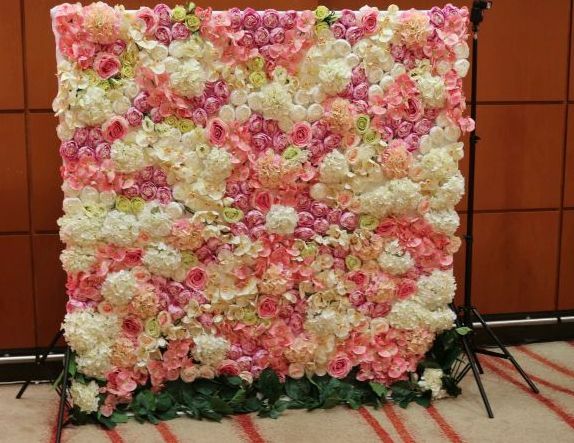 When choosing us to decorate their corporate events, people always request on having a floral wall. This floral masterpiece is tastefully designed by our skilled florists so that your guests can take the most amazing photos in front of it. A floral wall is the perfect focal point to help you create a delightful memory for all the attendees. 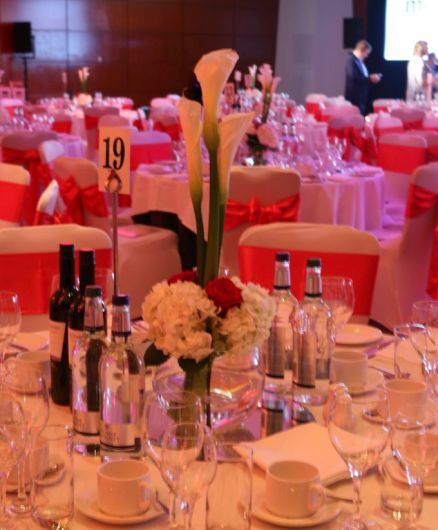 We at Handy Flowers are eager to create a unique setting for your corporate event using our freshest flowers – guaranteed to create a truly captivating atmosphere and bring excitement and inspiration to all your guests! 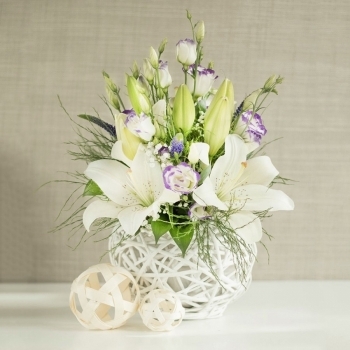 Give us a call today to discuss your floral preferences!